There are over 41,000 miles of roadways and 8,400 bridges that make up our state highway system. 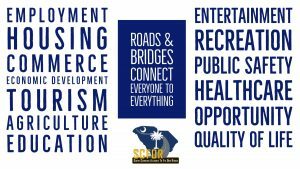 This extensive transportation network connects South Carolinians to all aspects of their everyday life – including education, employment, social services, health care, consumer services, and retailers. 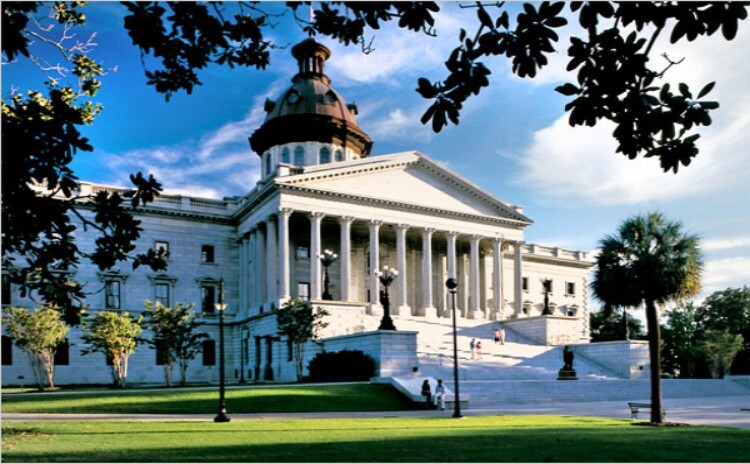 Our roads and bridges also serve South Carolina’s manufacturing, agricultural, and commercial industries who utilize the transportation network for commerce and need to move freight in a timely and efficient manner. Roads and bridges connect everyone to everything. This is why SCFOR works to educate the public and our elected officials about the importance of improving and investing in our transportation infrastructure. Long-term investments in infrastructure not only improve our roads and bridges, but can be directly linked to successful economic development, job creation, and an overall improved quality of life.